Authored by Dawid Huczyński (tibicen) on Nov 25 2018, 8:26 PM. 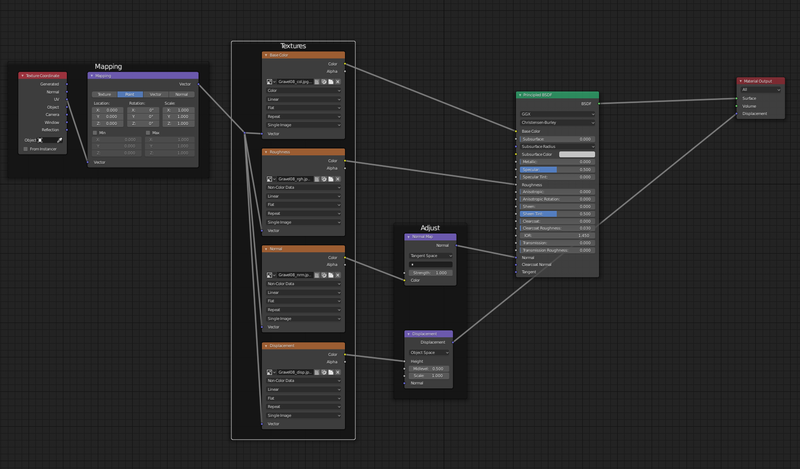 add "adjustment" node layer, for cleaner layout (by function)(if gamma nodes would destroy other exports i can agree the can be removed, but from my experience working with pbr always force you to modify spec, metal, rough textures. 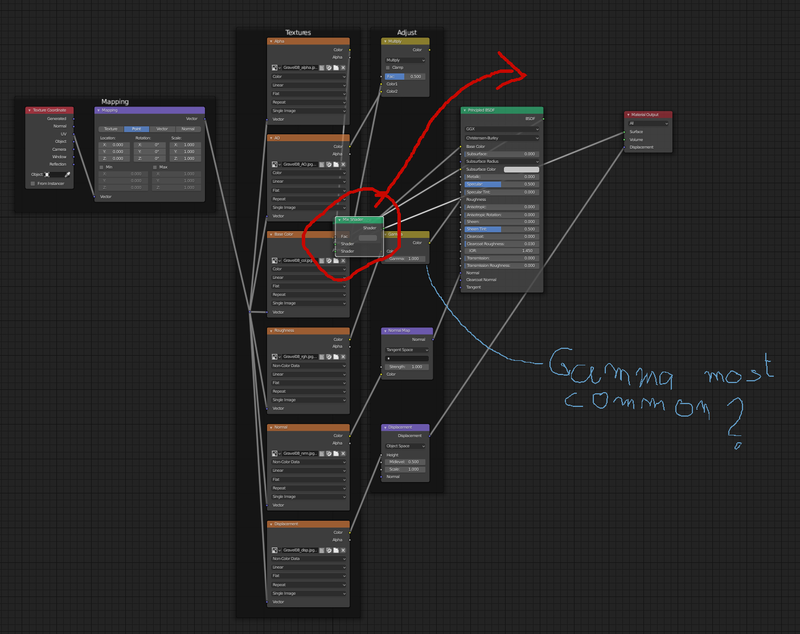 layout: node locations are relative now (the margin is only fixed now). PS. I'm new and i hope diff index refers to certain branch i was working in BA blender2.8 branch. The direction seems ok to me, though I'm not maintaining addons. I'm not sure who is maintaining this addon now, so assigning this code review to last developers who worked on it. But please remove adjustment nodes that break exporters, and check that after your changes export/import of shaders still works with file formats like FBX or OBJ. 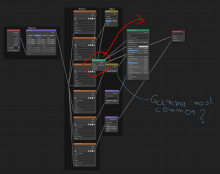 Multiplying AO into base color is also wrong and should not be done. It is however a good idea to also import the additional AO and alpha textures if they are present. Just leave them unconnected. 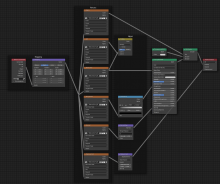 For the alpha texture you could add an enum in the import settings wether to connect to the transmission slot or create the mix/transparency setup or leave it unconnected. I suggest this because i am unsure how to best do this myself. 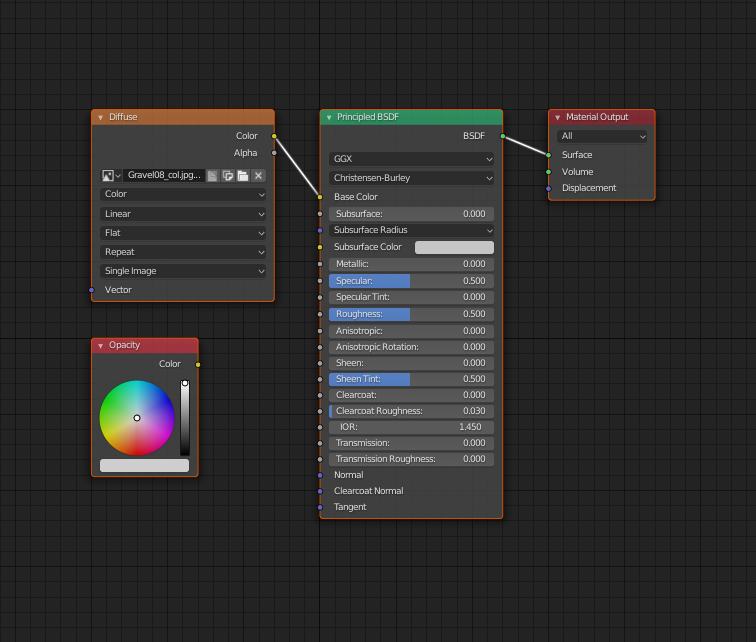 With the same logic you could add a checkbox whether to insert adjustment nodes (colorramp between roughness, ...) or leave it as a vanilla_import. Hi Florian, thanks for comprehensive feedback! I had an intensive period at work, but now I'm back. 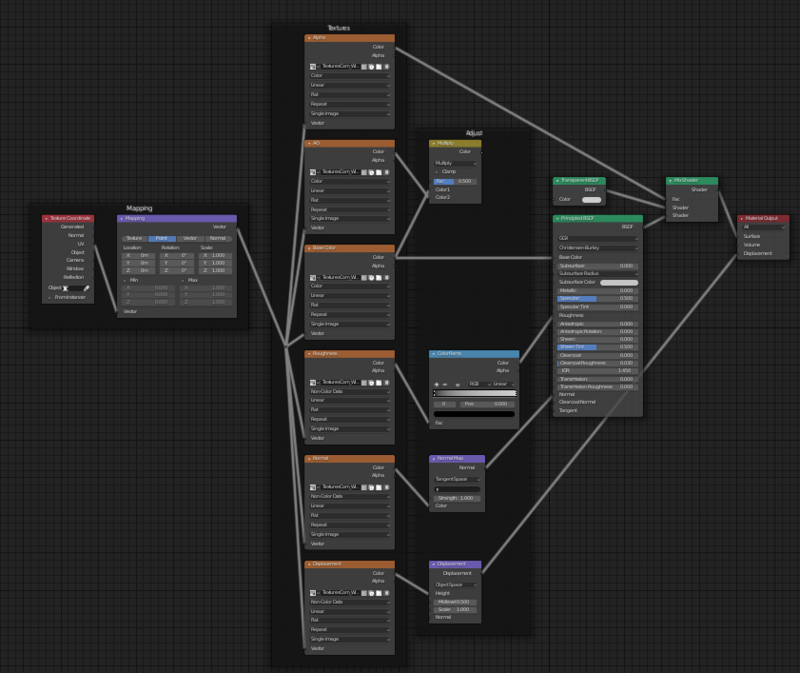 I've updated the layout placement for nodes. 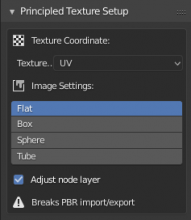 I will add enum option for having adjustment layers or no (problably with some warning that it will break import export options). multiplying AO with base is generated but not connected, only base is connected to princiled. Nevertheless i will try to clean it a little bit more and update later today or tomorrow. @Florian Meyer (testscreenings) Hi, back again. I wonder If we could add cleaned up code or wait with future decisions on how to handle AO and warning for breaking the export.